Some of South Jersey’s best amateur athletes have familiar last names — their fathers starred in Philadelphia as pro athletes. Is that a burden? Does it help or hinder their budding athletic careers? During the waning minutes of the 10th annual South Jersey Invitational Basketball Tournament’s nightcap semifinal game, a free throw shot clanked off the rim and seemed to hang in the air for at least a half a beat too long. 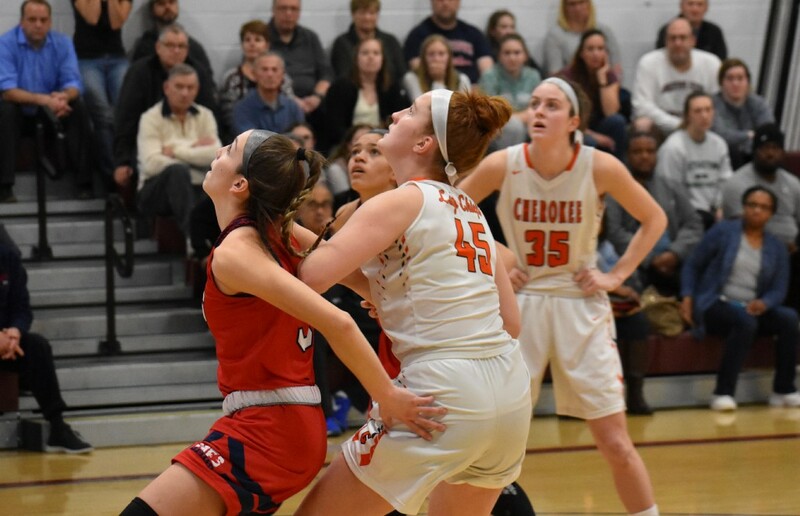 As the players converged in the paint, your brain just assumed the ball would eventually land in the hands of one of the three tallest players on the floor, Cherokee High School sisters Ava and Alexa Therien or Moorestown Friends School’s Bella Runyan. Not only are all three taller than the average high school basketball player but they’re athletic, too. It’s in the last name. The ball finally followed the laws of gravity and toward the pack. It ricocheted off of a couple thumbs and fingers, not unlike the trajectory of a much smaller ball inside a pinball machine, and sophomore Ava Therien made a desperate, diving attempt to save it from going out of bounds, despite the fact that her team was up by more than a dozen points. 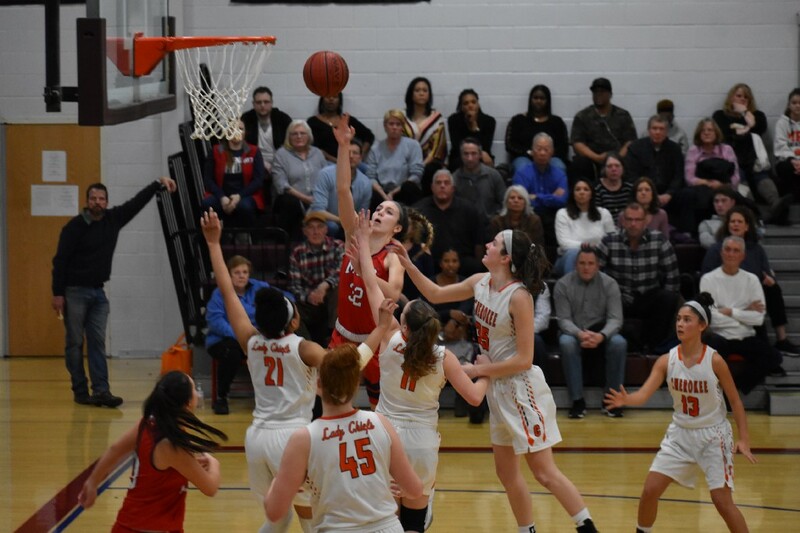 The reality is the Therien girls get the basketball genes from their mom, Diana Dabrowksi Therien, a former varsity player at Highland Regional High School. The Therien girls (there’s a third, Isabella, who plays at Loyola (Md.) University) have a healthy perspective on life and basketball. It’s one of the advantages of having a former pro athlete for a father. In South Jersey, where many Eagles and Flyers players in particular call home and often stick around after their playing days are over, it’s not uncommon to go to an event and see an athlete with a familiar last name. Barrett Brooks’ daughter plays basketball at Eastern Regional and Danny Briere’s son plays hockey for Paul VI, while Bishop Eustace has had Hextalls and Primeaus suit up for their hockey team within the last two decades. Is it a burden to wear those names on your back if you’re a teenager? Or do the good genes and friendly fatherly advice outweigh the outside pressures? The current crop of South Jersey kids who just so happen to be the sons and daughters of former Philadelphia pro athletes certainly don’t seem to be affected in a negative way. They’re all taking that name and making it their own with success on the hardwood and ice. Nineteen-year-old Cayden Primeau is the youngest of former Flyer Keith Primeau’s four kids. Cayden, who grew up in Voorhees and graduated from Bishop Eustace two years ago, is two years younger than Chayse Primeau, who plays hockey at the University of Nebraska-Omaha. They both have an older brother, Corey, who helped start Neumann University’s club hockey team, and a sister, Kylie, who played lacrosse at Villanova. 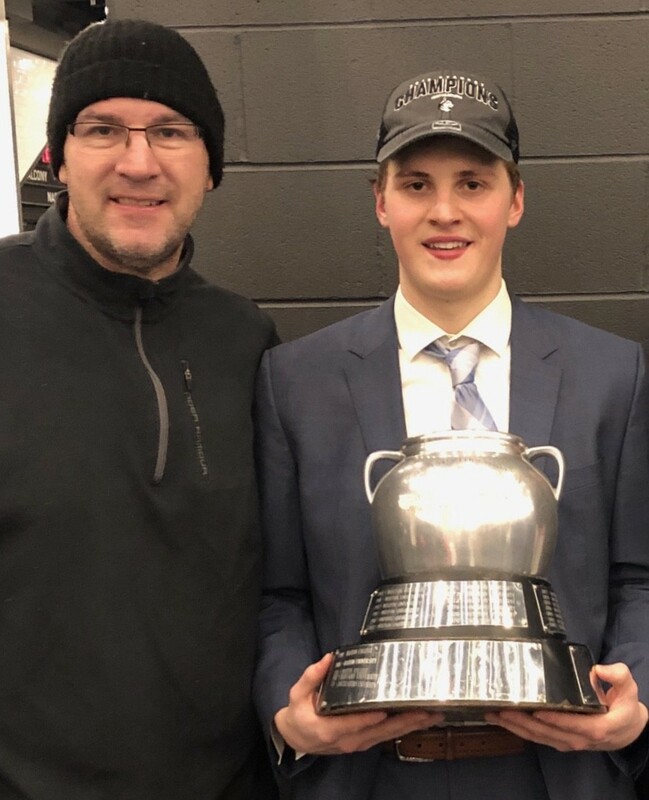 Despite dad’s resume and having to follow in the footsteps of his siblings, too, Cayden Primeau, a goaltender drafted by the Montreal Canadiens two years ago, has done more than just OK for himself. 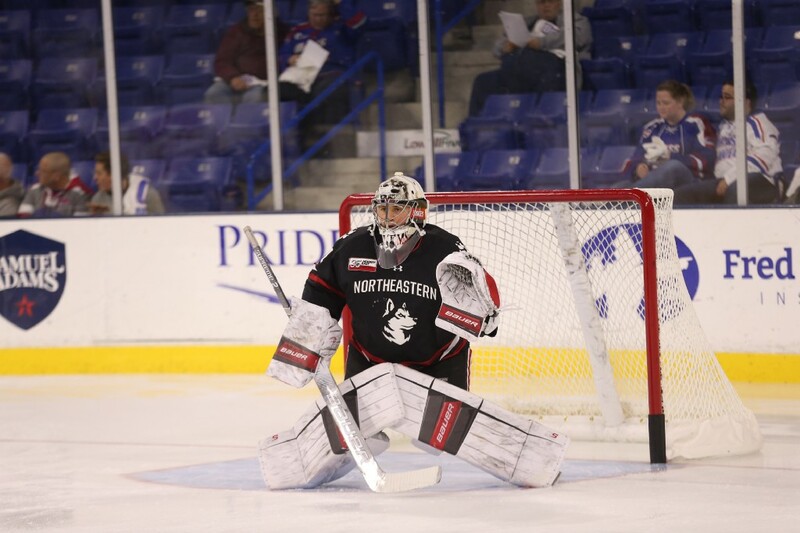 The Northeastern University sophomore was named the Most Outstanding Player of the annual Beanpot Tournament after leading the Huskies to their second straight title earlier this month. Primeau is one of three Northeastern players who have former NHL star fathers. Since he plays a different position than his dad (Keith was a forward), Cayden doesn’t have to worry too much about people comparing him to a five-time NHL All-Star. His father doesn’t believe any of his kids had to overcome their last name. Jon Runyan Jr., a Moorestown native, has had a bit of a different experience, perhaps in part because, as a football player at the University of Michigan, he’s playing perhaps the second or third most popular sport in America and at a premier program, too. 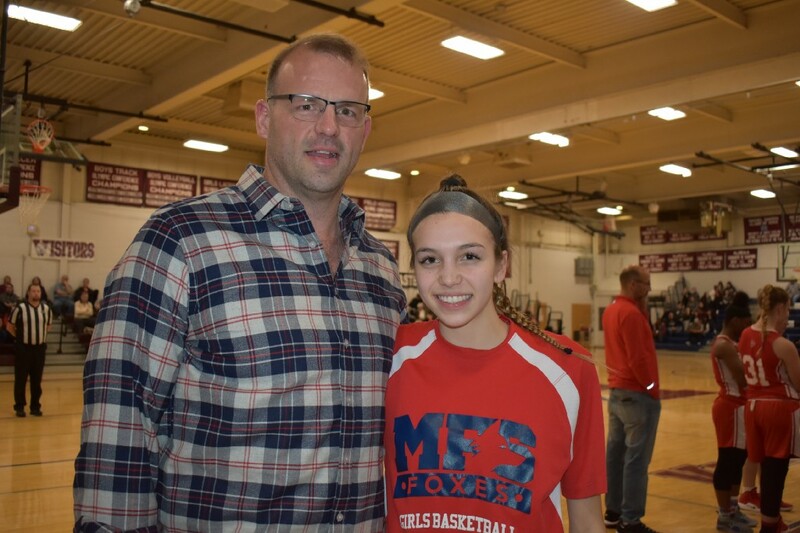 Bella Runyan, former Eagles lineman Jon Runyan’s youngest kid, saw her older brother deal with and then overcome the comparisons — it’s difficult not to when you’re playing the same position in the same sport with the same name as a former Pro Bowler — and understands it can follow her at times, too. Like her dad, older brother, and older sister, Alyssa, Bella can play a little, too. 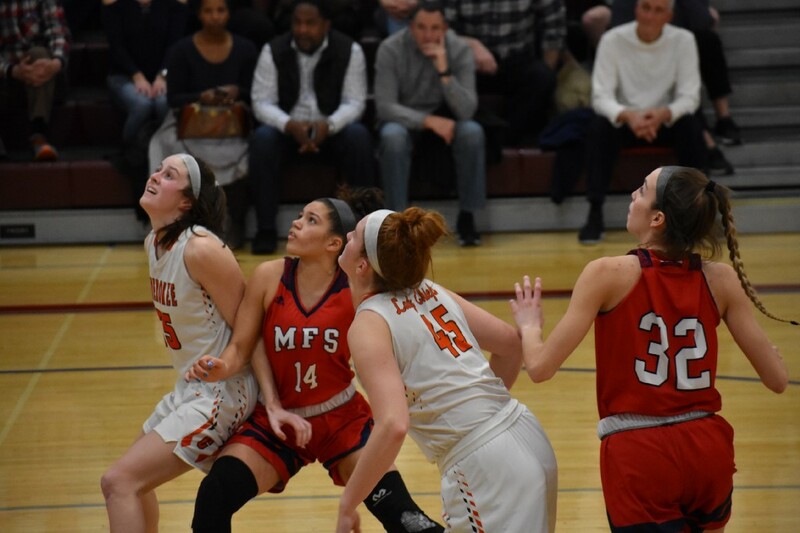 She recently eclipsed 1,000 career points in her high school basketball career — and she’s only a junior. “She’s the best athlete in the family,” Jon said of his youngest, who also stars in soccer and lacrosse. Maybe like Jon Runyan Jr., Christopher Therien, a sixth-grade hockey player, will have to wear the weight of his dad’s jersey when he’s a teenager. 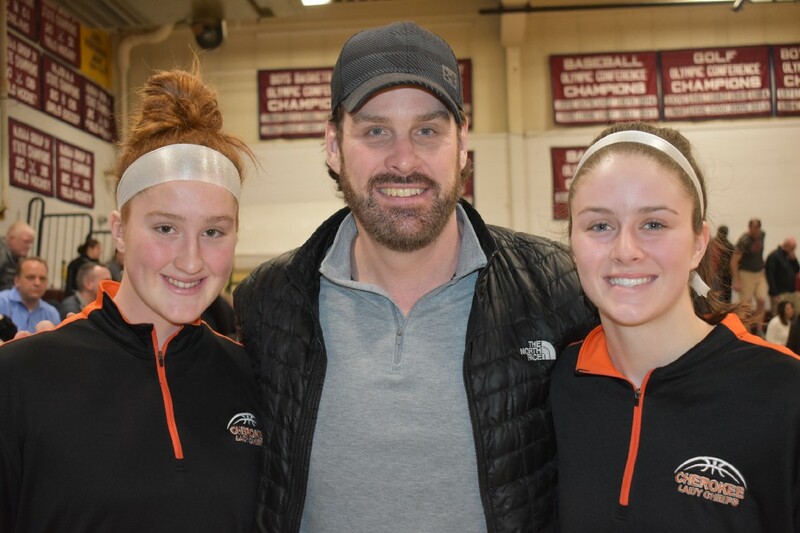 The Therien girls know how to ice skate, but basketball is their primary sport and, like Bella Runyan, they are among the best prep players in the state. 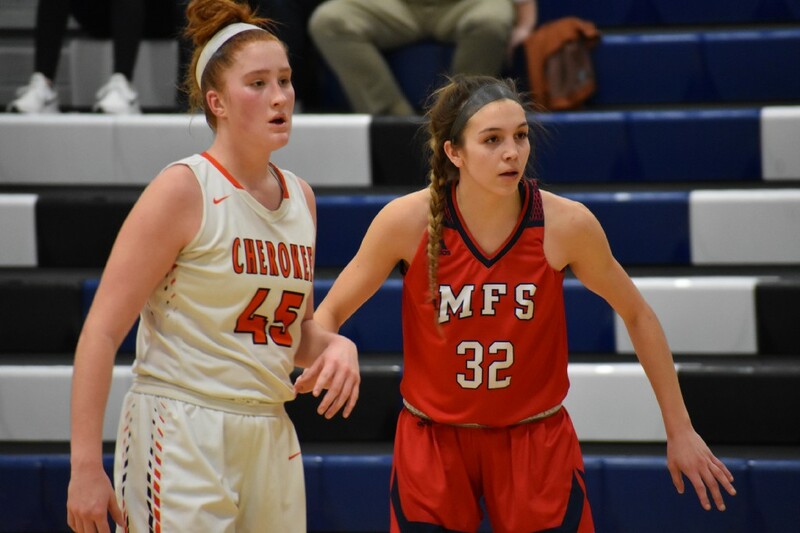 Alexa Therien was recently named the MVP of the SJIBT after Cherokee won its third straight tournament. Fittingly, both of her sisters won MVP honors in the two previous years. But the name is still there on the scorebooks and people hear it when starting lineups are announced before games. Back home in Marlton, the Theriens feed off of each other. The sibling rivalries are healthy and bring out everyone’s best efforts. Sharing the same name as a former, famous Philadelphia pro athlete isn’t something most teenagers think about. They’ve had it their whole life. Whether it hinders or helps at times is just a part of the process as they find their own way and make a name for themselves. “They all work hard, they’re dedicated, and they take pride in it, they each want to be the best at what they do,” Chris Therien said. “They’re also extremely good team players. If it’s a two-on-zero, my kid would give up the ball, it’s not even a thought to take the layup, they’d give it to the other kid.